The classic method (manually copy the firmware file onto the SD card). 1. After downloading the firmware, unzip the downloaded file, find the Split-M.BRN file and copy it to the root directory of the microSD card. The firmware name should be confirmed as Split-M.BRN. 2. Disconnect from the computer, powering the camera via the mobile charger. 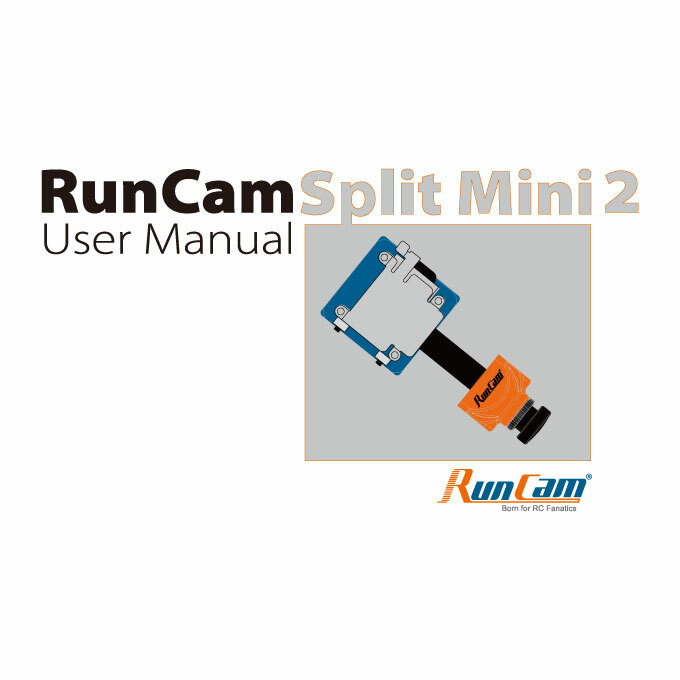 And then turn on the RUNCAM Split Mini 2 with the micro SD card inserted. The camera will automatically update the firmware. 3. Orange light blinks slowly while firmware is upgrading. 4. After 1 minute, the camera will automatically shut down,upgrade has completed. All the parameters can be set via APP (with Android App V1.9.3+/iOS APP 1.4.4+). It would be better to upgrade when the battery is fully charged.